The Digital, Culture, Media and Sport Select Committee has released its Brexit impact report for the creative, tourism and digital industries. The main findings and recommendations relating to tourism are supportive of tourism, and reflects the key messages that UKinbound have presented to Government over recent months to ensure continued growth for both the tourism industry and the wider UK economy post-Brexit. The report acknowledges the importance of tourism to the UK economy, naming travel and tourism the fourth largest industry in the UK, contributing over £130bn each year and employing 3 million people. The industry was also recognised as the sixth largest in the world based on value, generating £25.4bn per annum in export earnings and the eighth largest based on inbound visitor volume. The Committee found that the strongest concerns raised by industry representatives from across all three industries fell into three core areas: issues relating to the workforce, the potential loss of direct EU funding, and the future regulatory environment. The Committee recognised that the industry will need sufficient access to talent in order to retain its position as a world leader. 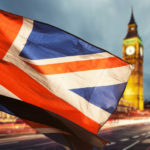 It argued that while Brexit will place a greater urgency on developing the skills of the UK’s native workforce, this will not be enough to sufficiently address the workforce challenges that businesses will face. The report also warned against underestimating the extent to which the industry depend on EU staff and asked the Government and its advisory bodies – including the Tourism Industry Council – to take these considerations into account in their analysis of the impact of Brexit on the UK’s future labour market. It was suggested that simplicity should be a key feature of future migration arrangements and the Committee recommended that Government should seek to retain free movement of people during the transitional period after March 2019. It was also argued that salary levels are a crude proxy for determining the value of a worker and fails to recognise the central role that workers from the EU play in the success of British businesses. The recommendation was made for Government to explore new ways of assessing value, such as commercial value or value specific to the sector, and how this can be factored in the UK’s post-Brexit immigration system. The Committee suggested that Government should publish a map of all EU funding streams that support tourism projects, whether or not they are dedicated to the specific purpose. The mapping exercise should spell out where previous EU funding has benefitted these sectors, indicate the streams that will need to be replaced, provide an overview of the total sum of funding that Government will provide to cover those costs, and clarify the role of the devolved administrations and their proposed future role. In addition, the Committee recommended that the Treasury and DCMS should illustrate how ‘value for money’ will be measured in any assessment of those EU funds that will be honoured by the Government’s guarantee. The Committee asks Government to set out as a matter of urgency the areas where it believes that Brexit offers an opportunity for beneficial regulatory reforms and how it intends to capitalise on such opportunities. It was acknowledged that while one of Government’s key priorities is reaching an early agreement in relation to aviation, Government must also provide an assurance that contingency plans are being made in the event of a no-deal agreement, and set out what this would mean for businesses and travellers. Given the value and benefits the tourism industry brings to the UK, the Committee recommended that Government should publish an analysis of how the visa system could be redeveloped to boost inbound tourism by visitors from beyond the EU. The full Brexit impact report is available to download here.